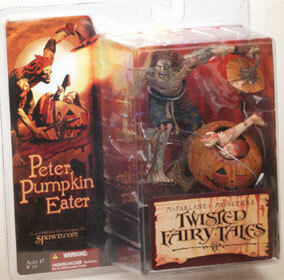 Description Of Item: Twisted Fairy Tales - Peter Pumpkin Eater. Peter has definitely lost his cool. His wife is now resting piecefully in the pumpkin and Peter making room for more.